Trouble with an asphalt plant has caused a delay in completion of the four-lane project running from Warren County to a point outside of Woodbury, state officials said. “The project’s completion date is Sept. 30, 2014. 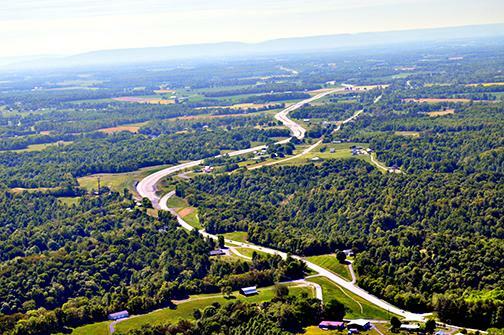 It is true that the project is behind schedule because of some problems with an asphalt plant,” said Jennifer A. Flynn, regional community relations officer with the Tennessee Department of Transportation. “But we believe that these problems have been solved and the contractor has begun a push to try and make up some time,” Flynn said. During the next several months, multiple paving crews will be working on state Route 70S at all times, including weekends, she said. “If the weather cooperates, they should make some good progress. We will know more later this summer about how much progress has been made and whether the original completion date can be met,” Flynn said. Once that link is complete, all that remains of the project is the route through or around Woodbury. Cannon County and the town of Woodbury have failed _ thus far _ to make an official recommendation on the project. Up for consideration are paths directly through Woodbury or either north or south of the town. Last November, Wes Hughen, TDOT project manager , told county commissioners that Cannon County needs to make up their minds before funds for the project evaporate. “My recommendation would be to decide what sort of road you want and take it to the PRO (Regional Planning Office),” Hughen said. Cannon County’s Chamber of Commerce has also been pushing plans to complete 70S.